Wellcome to "FocusWildlife" - site dedicated to the beauty of Nature surounding us. 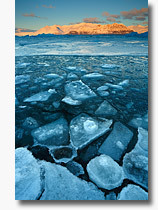 Winter landscapes photography workshop will take place among the amazing scenery of southern Iceland, during Dec 2014. Experience of a lifetime in a land of unique natural phenomena, providing endless inspiration for wild nature photographer. Huge glaciers, spectacular beaches, glacial lagoons, frozen lava fields and snow-capped peaks of numerous volcanoes. All these in dramatic light of endless sunrise and sunset, which characterizes the winter in the Arctic Circle. See details in the link. You want to learn how to take breathtaking Nature Images, beautiful Lanscapes, unforgettable sea sunsets or dynamic and touching Birds Photos? Join my Workshops of Nature Photography! It is my goal to guide you how to photograph nature beautifully while you have fun learning. Taking yourself to the next level and getting beyond "average Nature Photography" requires learning and understanding your subject. I will teach you about your subject as well as the technical skills needed to photograph it beautifully, but eventually you will need to find out your personal way and vision. I believe, that when you return home, regardless of your level of experience, you will take with you, new skills, new images and the confidence to make great images time and time again. For this reason, I have selected best locations, at the optimum time of year for our nature photography workshops and classes. A wide variety of Nature and Wildlife photos on this site is just a glimpse to my extensive Nature Images Collection. Between the different themes you can find in my online gallery are: World Landscapes and Holy Land landscapes images, Beautiful Seascapes, sunrises and sunsets, photos of wild and remote places and nonetheless nature in immediate vicinity of us, Environmental Images, Charming Night Scenes, stars and the moon, Stars Trails photos taken by film camera on slides with extremely long exposures of many hours on clear and starry desert night skies, Seasonal Photography of fall, winter and spring landscapes. Though I fascinated taking photos of all of Nature's splendor my truly passion is Wildlife Photography, especially Birds! In my Birds Gallery you can find images of many species like: owls, eagles, vultures, egrets & herons, kingfishers, cormorants, cranes & pelicans, loons & grebes and other wading birds, diurnal and night raptors, perching & song birds and many many more. See photos of wild animals in their natural environment in my Wildlife Gallery. Find Travel photography with images from Israel with its coastal and desert regions, Switzerland with beautiful views of Swiss Alps spotted with small creeks, lakes and dense forests, Amazing views of Canadian Rocky mountains, west coast of USA, France, Germany, Italy, Croatia, Turkey, Thailand and more. The Gallery equipted with advanced search engine For example apply bird specious and you will get this specious gallery! Interior Wall Decorating with fine art prints (canvas or photo paper) of Nature theme creating a peaceful, serene atmosphere for office environments, home interiors decor, hotel rooms, collectors, framing shops, waiting rooms, restaurants, cafe, visitor areas, libraries, hospitals, clinics, convention centers, corridors, motels and more... Let me share with you the joy of watching the endless beauty of Nature and all the pleasure and serenity that the great outdoors brings, every day, without leaving your home or office. My Fine Art Prints are signed Limited Edition canvas or photo paper prints. Each print is inspected, signed and numbered by me and limited to an edition of 10 for each size! Prints will be numbered in the order they are purchased with lowest numbers being issued first. More info about Fine Art Prints you can find on Purchase page. My Nature and Wildlife Images available for Stock usage and licensing (Royalty Free & Rights Managed) for editorial, commercial, advertising, art production, web design, designers, decor, calendars catalogs and the list goes on. More info about Nature Stock Photography Galleries you can find here. 29.10.11 - Images from Fall Foliage photography trip to New England are now online! 02.05.09 My Nature Photography site, in Hebrew language now online!